As far as sizing goes, it does fit a little small so going up a half size in women's sizing would be best. For kids, we found that because they only come in whole sizes, a full size would be better. Those are the technical specs we found. But reading them an understanding them are two different things. We sat down with Erica and got her opinion on this shoe. She goes in depth to explain all of the technical features. Check it out below! Then let us know what you think, is this shoe amazing or what?! These are great shoes. Definitely doesn't disappoint in the comfort category. 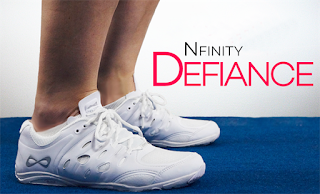 My daughter loves these cheer shoes. Fits good and very comfortable. Super lite.